Will die US-NATO ein syrisches Szenario in der Ukraine? Neo-Nazi mobs in Odessa were involved, with the support of the Kiev regime, in a terrorist operation geared towards the killing of innocent civilians. There was nothing spontaneous or accidental in this diabolical and criminal undertaking which consisted in the mass murder of federalist activists inside the House of Trade Unions. The building was set on fire quite deliberately as part of a carefully planned paramilitary operation. Who was behind the Odessa killings? Under what auspices was this diabolical operation formulated? What is the underlying geopolitical agenda? What is the “US Foreign Policy” agenda? Trigger a response from Russia? Foster a process of escalation and destabilization? The Neo-Nazi mobs had been trained and indoctrinated. Western special forces and mercenaries on contract to NATO and the Pentagon were involved in the training of the Right Sector paramilitary. In turn, the National Guard civilian militia created in mid-March is financed by Washington. The Right Sector Brown shirts had received prior paramilitary training in Poland in September 2013 ahead of the EuroMaidan riots. 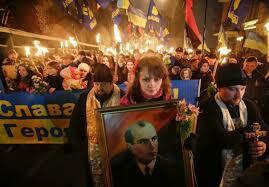 America’s Neo-Nazi Government in Kiev is a reality. The body of evidence suggests that US-NATO is directly involved in the crackdown on so-called “pro-Russian” activists, advising both the Right Sector and the Kiev government’s National Guard. US intelligence is indelibly behind the Right Sector. 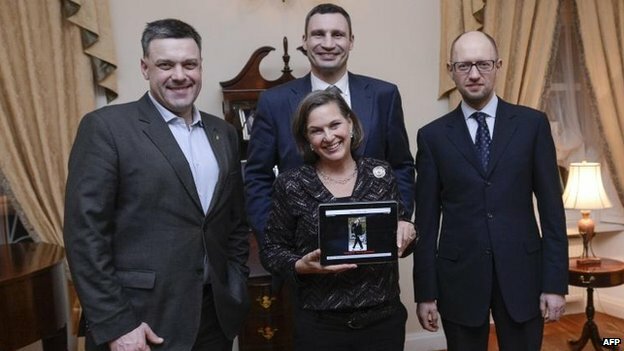 There is a longstanding relationship between US intelligence and the Neo-Nazi groups in Ukraine, which has a bearing on our understanding of recent events including the crimes committed by the Right Sector militia in Odessa. While recent news reports confirm US support to the two Neo-Nazi parties, CIA support to Ukraine’s OUN dates back to the Cold War era. Acknowledged by historians yet unknown to the American public was Washington’s insidious support of Ukraine OUN Neo-Nazis after World War II as a means of destabilizing the Soviet Union. This support was an integral part of what was called the “Truman Doctrine” formulated by State Department official George Kennan. 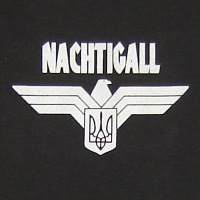 In a bitter irony, following the defeat of Nazi Germany, the Truman administration instructed US intelligence at the height of the Cold War to ensure the continuation of Nazi Germany’s support to Ukraine’s OUN “Nachtingall battalion”, reshaped and transformed into a subversive guerrilla group under an Anglo-American acronym. After training in the United States, the Nightingale leaders were parachuted into the Ukraine to link up with their compatriots and to carry out measures of subversion, agitation, and sabotage, including assassination [against the Soviet Union]. In the wake of World War II, the OUN led by Nazi collaborator Stepan Bandera was reformed under a US sponsored “Nightingale Operation” directed against the Soviet Union. Moreover, according to Stephen Dorril, author of MI6: Inside the Covert World of Her Majesty’s Secret Intelligence Service,the OUN was also supported by the British Secret Service MI6. There is continuity: What the historical record suggests is that US intelligence from the “Truman doctrine” to the NeoCons (not to mention Obama) has supported Ukraine’s Neo-Nazi entities. The latter constitute “intelligence assets” which are currently being deployed in the wake of the Cold war, with a view to absorbing Ukraine within the realm of NATO enlargement as well destabilizing the Russian Federation. It is important to analyze the Odessa mass killings in relation to US military doctrine. “Massive casualty producing events” resulting in the deaths of innocent civilians are part of a US military modus operandi applied extensively in Central Asia, the Middle East, North Africa and Central Africa. Historically, local level insurgencies have been supported by US intelligence. From the Soviet-Afghan war (1979-1989) to Syria and Libya, jihadist rebels and Mujahideen involved in countless civil wars are supported by the CIA, financed and trained by the US and its allies. The objective is to destabilize sovereign countries. In Syria, the opposition Al Qaeda affiliated terror organizations are funded by the Western military alliance. The atrocities committed by Al Nusrah mercenaries (trained in Saudi Arabia and Qatar on behalf of US-NATO) are casually blamed on the government of Bashar Al Assad. More generally, supported by media disinformation, the deaths of civilians resulting from US sponsored terror operations and “false flags” will invariably be blamed on the victims. Ukraine is no exception. Media propaganda serves to turn realities upside down. The atrocities committed by Right Sector “Patriots” are barely the object of media coverage. The blame is placed on Moscow and its “pro-Russian separatists”. 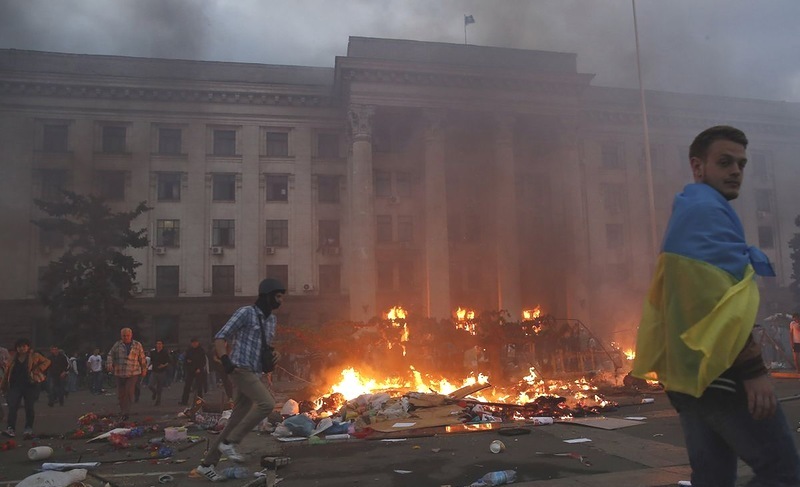 Are the atrocities committed in Odessa of a similar nature to those committed by US-NATO sponsored terrorists in Syria? While Al Nusrah militants are portrayed as “freedom fighters” against the “despotic secular government of Bashar Al Assad”, Right sector Neo-Nazis in Ukraine are portrayed by the Western media as “True Patriots”. 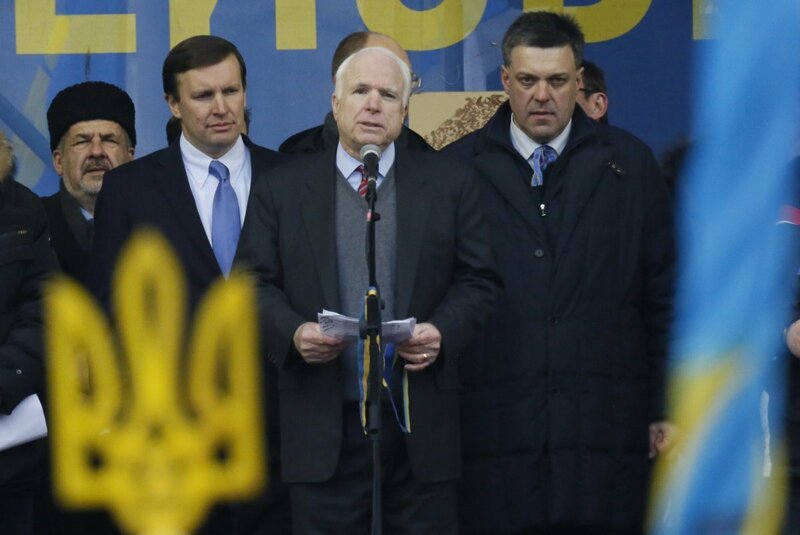 Of significance, Republican Senator John McCain will mingle with Al Qaeda leaders in Syria while also establishing a a routine dialogue with the leader of the Neo-Nazi party Svoboda. Ukraine vs. Syria: While the geopolitical context is different, there are certain obvious similarities. Innocent civilians are the victims of a US-NATO military which consists in supporting terrorist entities. Ask John McCain. In both countries, the US is in the pursuit of “real democracy” by supporting rather than combating terrorism. Al Qaeda in Syria, Neo-Nazis in Ukraine. Its all part of “The New Normal”. Is US-NATO Applying the “Syria Model” in Ukraine? 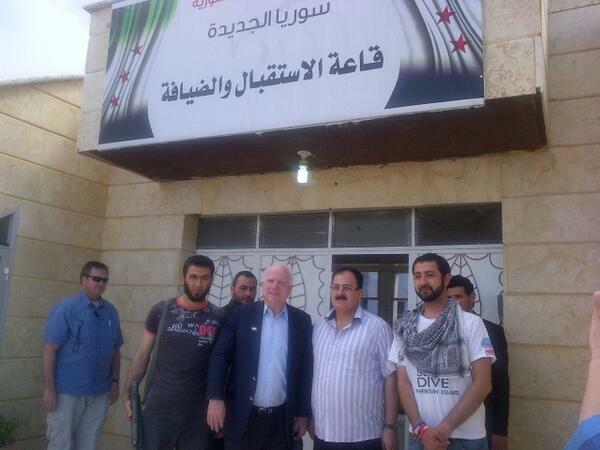 Both Al Nusrah and Right Sector have links to US intelligence. In both Syria and Ukraine, Washington’s intent is to destabilize and destroy the institutions of a sovereign country. Killing civilians is a means to create social divisiveness, thereby curtailing the development of a mass movement against US-NATO. What is at stake is a process of destabilization and societal destruction. From the outset of the conflict in Syria in mid-March 2011, US-NATO sponsored mercenaries were involved in the killing of civilians as well as acts of arson. Amply documented, Al Qaeda affiliated mercenaries were recruited and trained by the Western military alliance. The paramiliarty agenda was to wreak havoc and enforce a process of regime change. Al Nusrah is to Syria what Right Sector is to Ukraine. They are the foot soldiers of the Western military alliance. While Al Nusrah is trained in Qatar and Saudi Arabia, Right Sector is trained in Poland. In both Ukraine and Syria, Western special forces are involved in overseeing terrorist operations. In both Syria and Ukraine, the deaths of civilians are blamed on the victims. 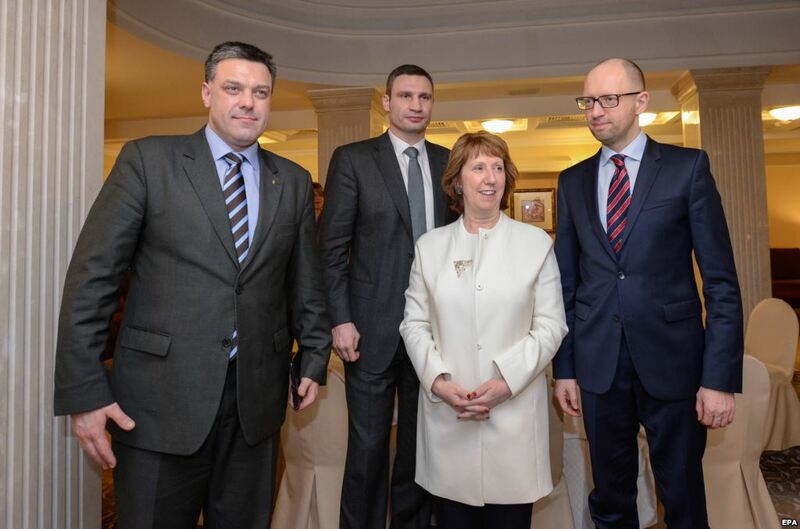 High Representative of the Union for Foreign Affairs and Security Policy for the European Union Catherine Ashton and Oleh Tyahnybok (left).